New Year’s resolutions abound and healthier living and eating aspirations are plentiful with the beginning of the New Year. I’m hoping that for many, a healthier bread diet constitutes part of their New Year’s resolutions. For you special people, I have put together a healthy bread recipe to get you on the right track. If you are in an energetic, I-will-eat-better-in-2017 phase right now, give it a go! Here is my checklist for the make-up of a healthy bread. 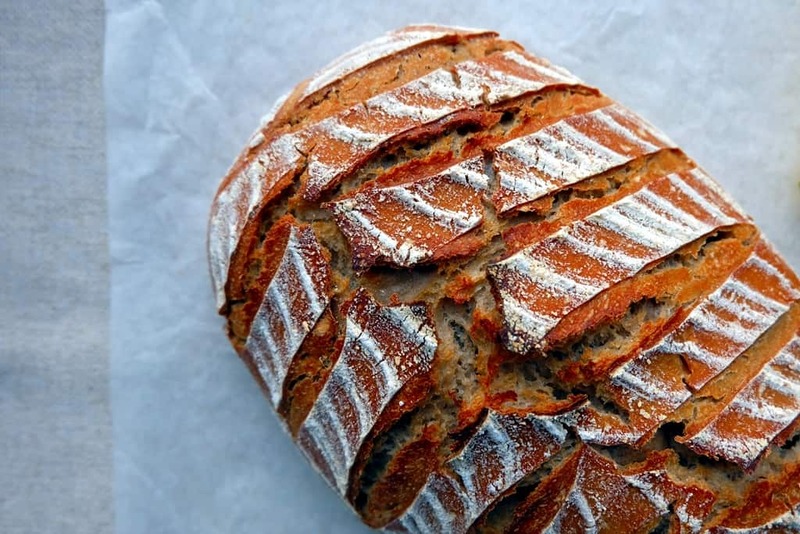 The process of slow fermentation and using sourdough makes the nutrients in wheat flour more available for digestion and the simple sugars less available, which helps with blood sugar control, particularly for people with Diabetes. White flour is made from heavily refined and processed wheat grains, while wholemeal flour is made from grains that have not undergone heavy processing. 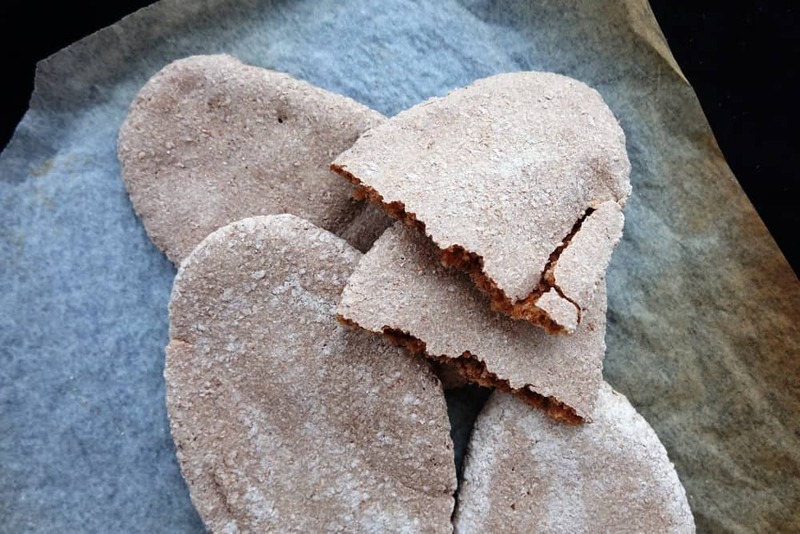 Wholemeal and white flours differ in their nutritional value, with wholemeal containing additional fibre and vitamin content as well as a lower GI (Glycaemic Index) value. 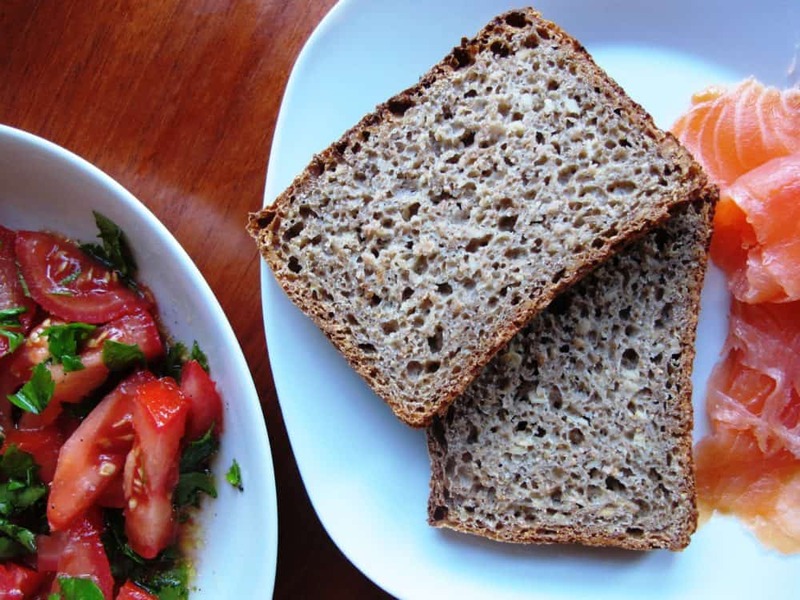 For the same reasons, I like to add whole grains to my healthy bread recipes. While wholemeal flour undergoes some processing, whole grains are as good as it gets when it comes to adding cereal into your bread; they come with lots of fibre, minerals, vitamins and antioxidants. Seeds contain protein, essential fats, dietary fibre and micronutrients and I particularly like adding sunflower seeds to bread. Toasted, they taste amazing and add significant amounts of vitamin E, magnesium and selenium. 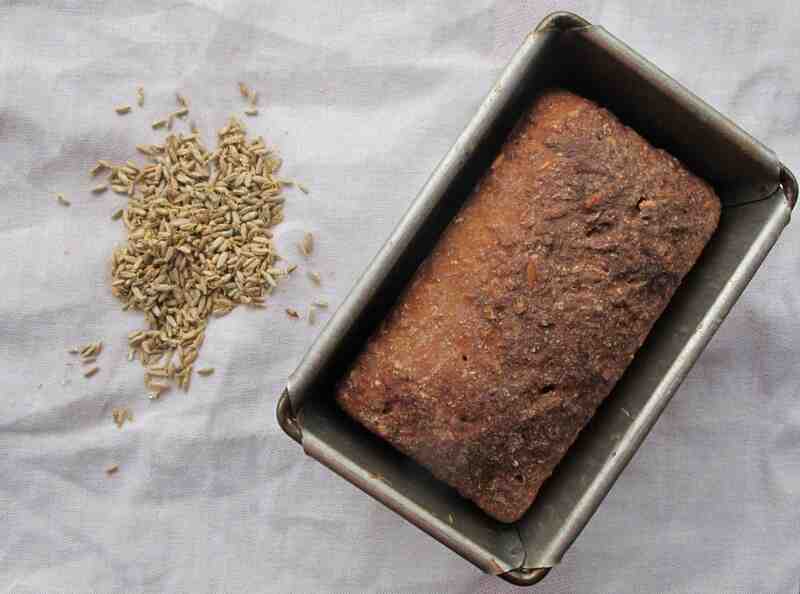 Bread spices such as fennel, coriander, caraway and anise seeds provide properties which are beneficial to the digestive system and plenty of flavour. Take a look at my post on bread spices and prepare a batch for your next bake. Baking breads at home allows you to avoid hidden sugars found in some shop-bought loaves. Read my post about sugar-free baking for additional information. Gluten-free bread isn’t ‘a healthier option’ if you don’t suffer from coeliac disease or other gluten-related disorders. 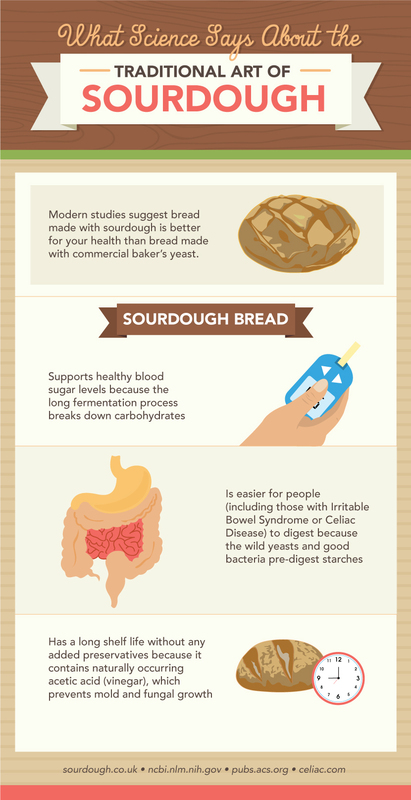 The majority of flours and starches used to make gluten-free breads are high glycaemic with little fibre. Shop-bought varieties often contain certain industrial type binders such as xanthan gum which is highly processed and far away from the basic ingredients (flour, water, salt) of bread. If there is no medical reason for eating gluten-free, I would discourage you from seeking gluten-free bread options for health reasons. 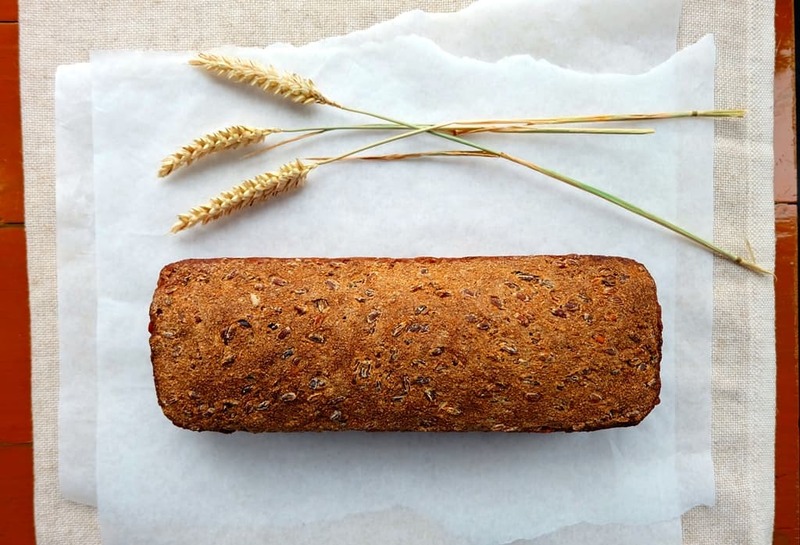 Healthy bread is based on natural ingredients and slow fermentation – rarely something connected to gluten-free nor supermarket-bought breads. 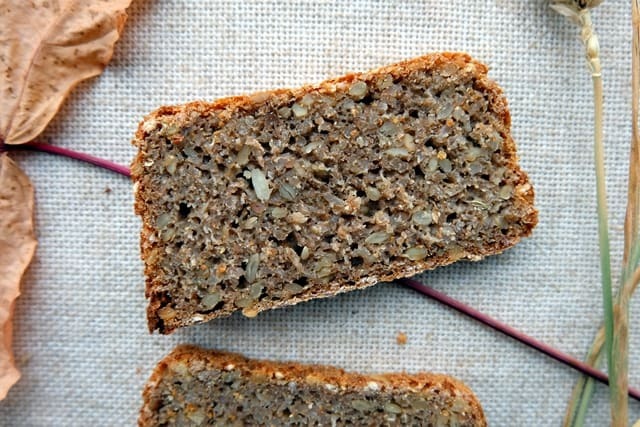 Here’s my healthy bread recipe for your new healthier lifestyle! As per my notes above, use organic ingredients throughout. If you don’t already have a sourdough starter, start by preparing this from scratch. 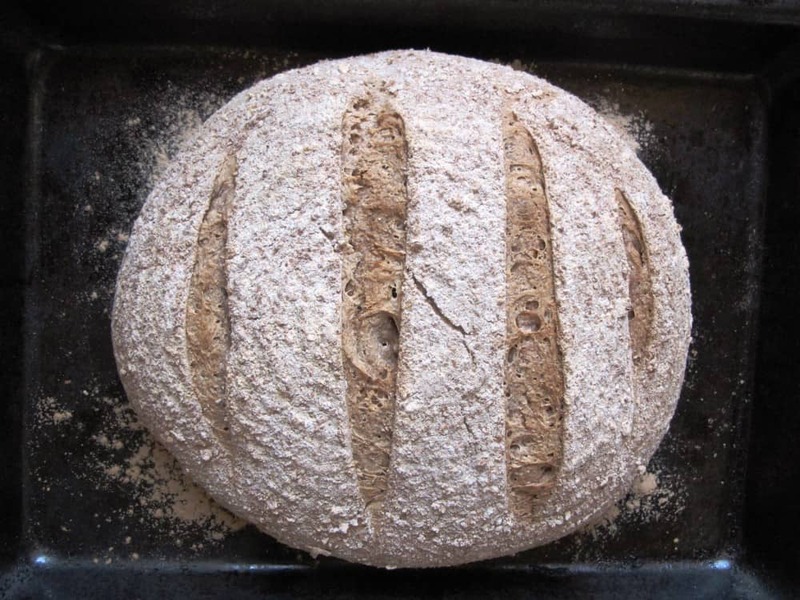 Follow my guide to make a rye sourdough starter – with all organic ingredients. You’ll only need to complete this process once, so don’t be put off by it taking a few days to complete. It’s worth it! I’ve had my starter since January 2012 and have not looked back since. In a medium bowl, combine 50g of your rye sourdough starter with 50g wholemeal wheat flour, 50g cracked rye kernels and 100g water. Cover with a lid or plastic foil and leave to stand at room temperature for 12 to 14 hours. Dry roast 100g sunflower seeds in a frying pan releasing the wonderful nutty flavours. Place the toasted seeds in a bowl and cover with 125g boiling water. Cover and leave to rest at room temperature for 12 to 14 hours. Knead for 10 minutes, then place the dough back into the large bowl, cover with a lid and leave to rest for about an 1 hour at room temperature. Once rested, give the dough another quick knead. 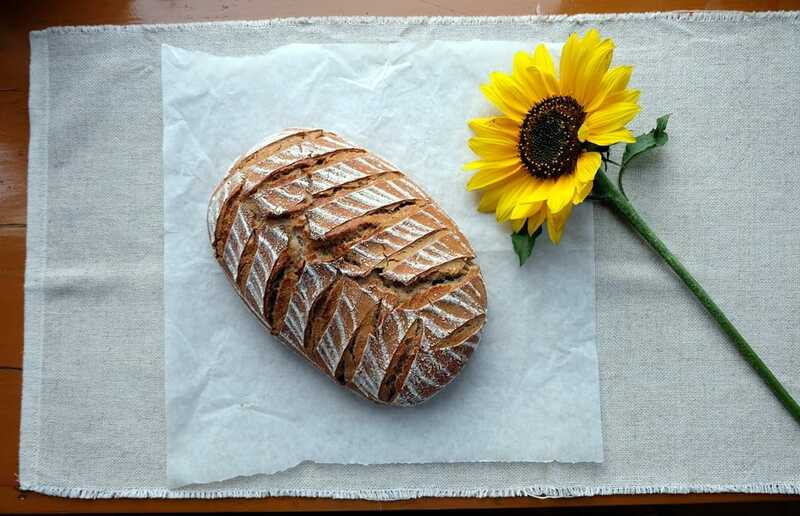 Prepare a loaf tin for baking and lightly oil the tin using sunflower oil and a baking brush. Prove for several hours at room temperature until the loaf has risen well. Bake for 10 minutes at 220°C and a further 40 minutes at 180°C. For this year’s annual Christmas lunch get-together, I contributed the starter. With a main course of venison stew, I opted for a puy lentil, parsnip and walnut salad with walnut sourdough bread. It proved to be a winning combination, so I wanted to share both the walnut sourdough bread recipe and a link to the salad for a bit of festive lunch inspiration. Out of all nuts, I love walnuts the most and this connection goes back a long way. Allow me to reminisce! Growing up in a small Austrian village, my grandparents had an old mighty walnut tree in their garden. With a trunk measuring a good two metres in circumference, the tree had been there for many decades. In the summer, its strong branches and plentiful leaves provided shade to playful afternoons, the sunlight creating magical patterns. In the autumn, when the tree dropped its first fruits (still green and earthy), I would get excited about the nuts being ripe. As soon as they were ready for picking, I relished cracking them open and enjoying the delicate and moist walnuts. So fresh, I was able to simply rub off the skin. Tasting walnuts as fresh as this – right from the tree and before they have been dried – is a truly unique taste experience! Unfortunately, that tree was cut down many years ago and while some new walnut trees are growing nearby, none has been able to live up to this mighty old tree yet. My walnut sourdough bread is a simple variation of my easy sourdough recipe. Walnuts are added after the initial rise. Make sure you have a proving basket and La Cloche baking dome at the ready for an extra good-looking bake. Follow the instructions of my easy sourdough recipe and just add the toasted walnuts during step 6. Work the nuts into the dough until evenly distributed. To be found over at Jamie Oliver’s site… follow this link for the recipe. It recently struck me that during all my years of sourdough baking, not once had I baked a pure white sourdough bread. I got stuck right into 100% rye sourdough baking, wholemeal spelt sourdough and wheat-rye combination breads. Yet, I hadn’t ever bothered with a basic white sourdough loaf. White sourdough bread is perhaps the most simplistic form of sourdough bread baking. This post is all about using only strong white wheat flour for a plain white loaf of sourdough. The additional motive for this post was that I will be hosting a Sourdough Toast Morning for this year’s Sourdough September event organised by the Real Bread Campaign in the UK. Friends will be invited for a Sunday morning filled with sourdough goodness, homemade jams, fresh avocados as well as cinnamon toast. I will be preparing different types of sourdough bread for my guests to taste. Wheat-rye combination sourdough, a seeded sourdough loaf, a soft sourdough milk bread. Plus, a basic white wheat sourdough will also be on offer. This is based on the assumption that the plain white sourdough loaf will be the ideal sourdough bread for ‘beginners’. I’m hoping all this sourdough amazingness will sell the taste and health benefits of slow fermentation baking to those not yet converted to the good stuff. 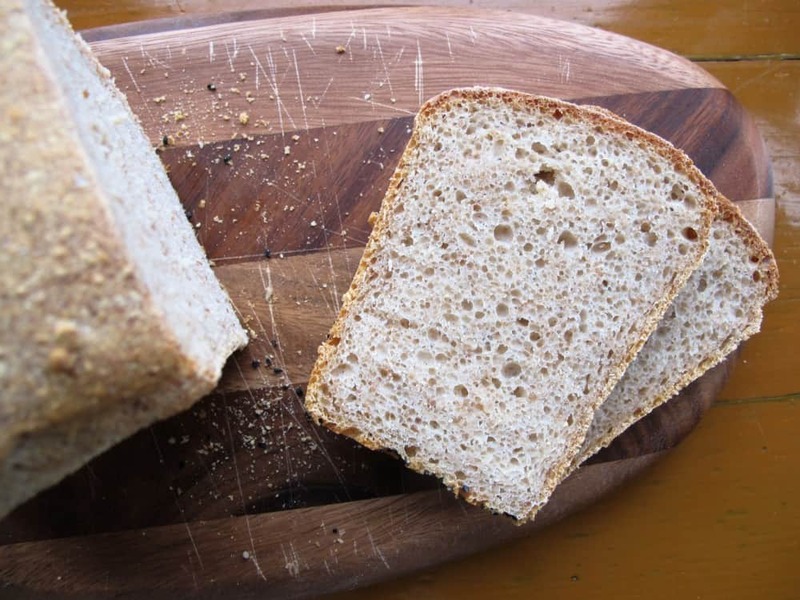 So, here it is – a most basic and simplistic white wheat sourdough bread recipe. 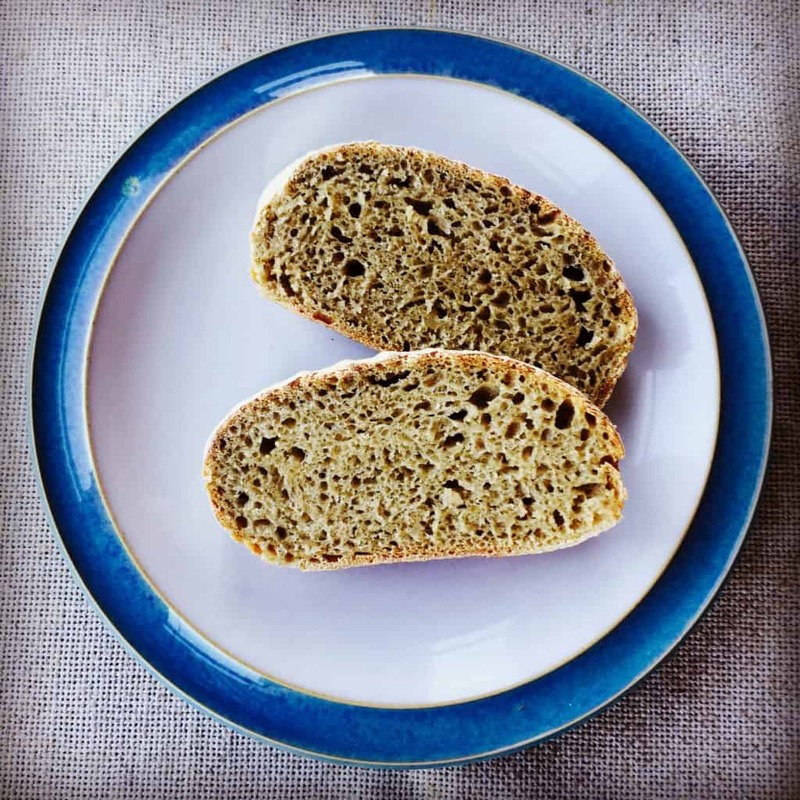 Sourdough amateur or connoisseur – I promise, you will like it! 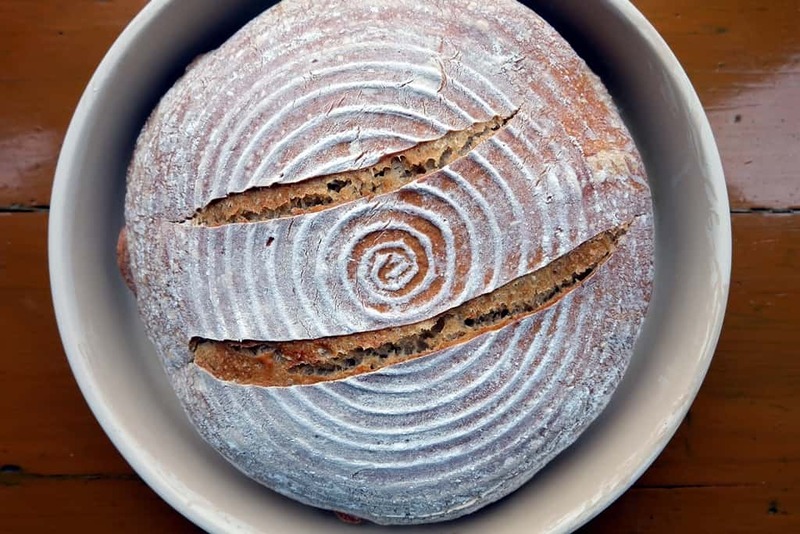 If you don’t have a sourdough starter yet, get started by making a wheat sourdough starter. If you have a rye or spelt sourdough starter already, you can use a small bit of either of these starters to base the white sourdough bread on. Due to the small amount of starter needed, you can easily go ahead with whatever sourdough starter you have. There will be minimal no-wheat contamination as you are only using 15g of other flour as part of the sourdough starter and this amounts to 3% of the total amount of flour used. Combine the sourdough starter with the white flour and water. Mix well, cover and keep at room temperature for about 12 hours. Combine 100g of the sourdough from earlier (the rest goes back into the fridge for your next bake), the strong white bread flour, the water and salt to form a dough and knead for 10 minutes. Place the dough back into the bowl, cover with a lid or polythene bag and leave to rest for about 2 hours at room temperature until it has visibly expanded. Punch down the dough, give it another quick knead, then shape it into a loaf and place seam-side up into a pre-floured proving basket. Cover with a polythene bag to prevent the dough from drying out. I tend to prove my sourdough breads in the fridge overnight as it fits in better with my daily routine. Whether you’re proving in the fridge (I proved the loaf for 24 hours) or at room temperature (the time it takes will vary and may take as little as 2 or up to 5 hours), make sure your sourdough loaf has almost doubled in size before you bake it. I bake with a La Cloche baking dome for an extra crunchy crust and moist crumb. If you don’t have a La Cloche baking dome, turn out the loaf onto a baking tray lined with baking paper once you have preheated the oven to 220°C. Bake for 10 minutes at 220°C and at 200°C for a further 30 minutes. If using the La Cloche, take off the domed lid for the final 10 minutes. 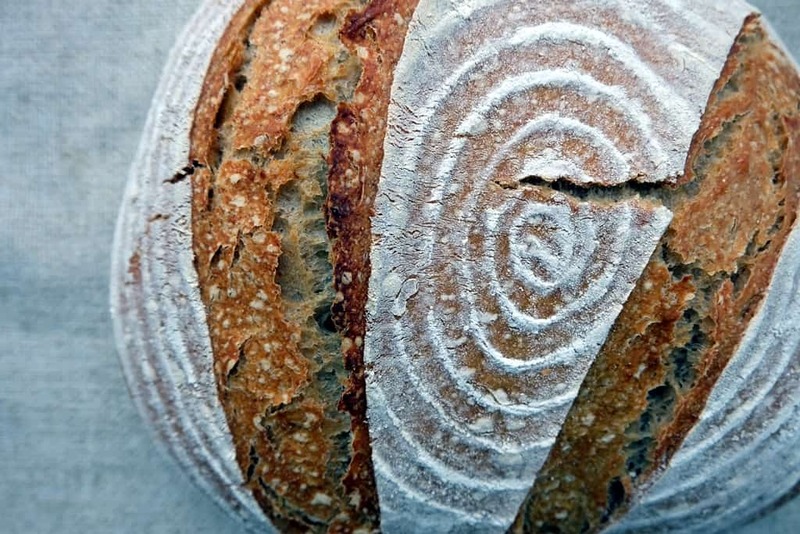 Cool on a wire rack and enjoy the deliciousness of this white sourdough loaf. It’s great toasted too! 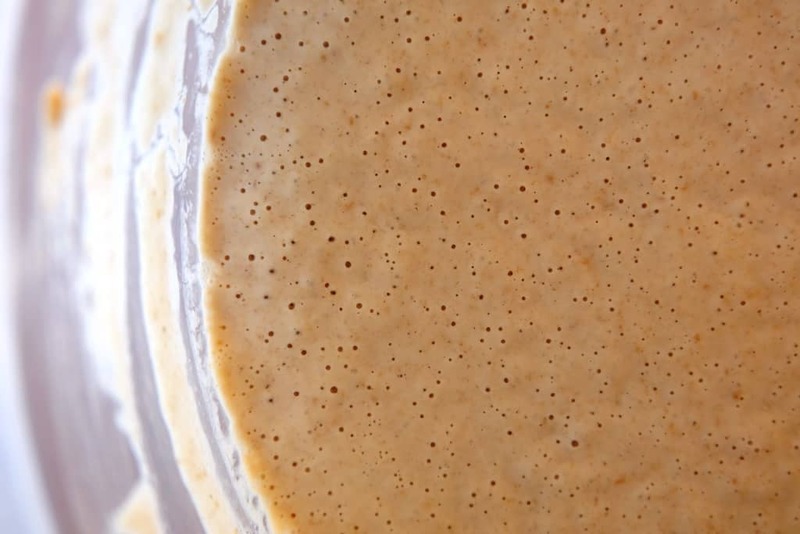 Make your own whole wheat sourdough starter. All you need is flour and water. There are really no excuses not to! Generally speaking, you don’t have to make a wheat starter if you already have a rye starter to hand. You can simply use the rye starter as a basis for a wheat refreshment if you wish. However, if you don’t have a rye starter or rye flour to hand, or you’d like to bake an all-wheat sourdough bread, you can quite easily prepare a wheat sourdough starter from scratch. This is based on Andrew Whitley’s step-by-step guides in his books Bread Matters and Do Sourdough – Slow Bread For Busy Lives. 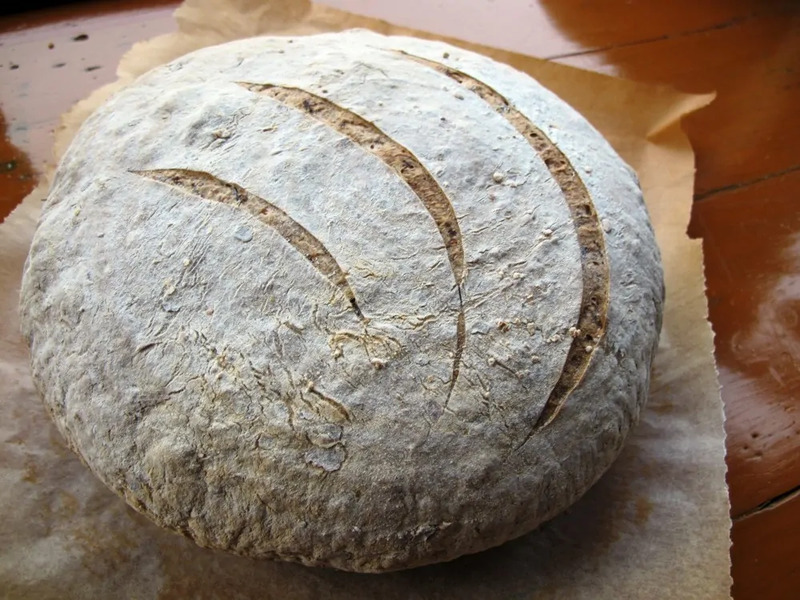 This sourdough starter recipe uses both stone-ground whole wheat flour as well as white flour. Use a medium sized plastic bowl with a lid to mix the flour and water. Try to use bottled or spring water as chlorinated tap water may impede the fermentation process. I tend to use a silicone scraper to mix the starter as it makes it really easy to wipe the inside surface of the bowl. Cover the bowl and keep at a warm temperature for about 24 hours. 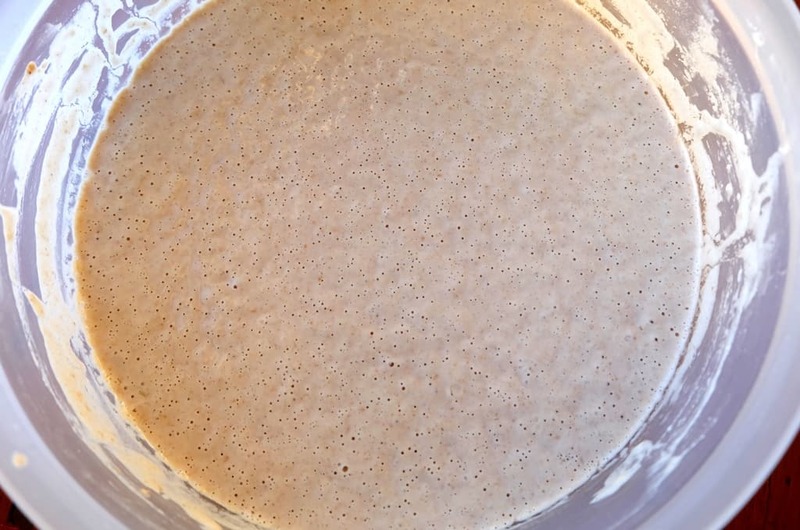 The ideal temperature for the wheat sourdough starter is 28°C/82°F. Add the whole wheat flour and water into the bowl which contains the 60g starter mixture from Day 1, cover and keep at a warm temperature for 24 hours. Add the above ingredients into the bowl which now contains 120g whole wheat starter mixture from Day 1 and 2. This time, you add slightly less water to tighten the dough consistency. Cover and keep at a warm temperature for 24 hours. At this point, you may already start to see signs of the starter fermenting i.e. small bubbles may be visible. Add the above ingredients into the bowl which now contains 165g starter mixture from Day 1, 2 and 3. Cover and keep at a warm temperature for 24 hours. You should now have an active wheat sourdough starter that has bubbled up overnight, slightly subsided again and smells fruity and / or acidic. You’re ready to start using your sourdough starter for wheat sourdough bread baking. Please leave me a comment with any questions, happy to help with any trouble shooting. And please note: Your wheat sourdough starter will behave differently to your rye sourdough starter. It will lead to a production sourdough three times its size while the rye sourdough starter leads to a production sourdough ten times its size. Your wheat production leaven will fully ferment in only four hours while the rye sourdough leaven will take longer. I’ve recently realised that most of my sourdough recipes are not entirely suitable for those starting out in sourdough baking. Many of my recipes involve more than ten ingredients and certain enhancing dough elements (such as seed soakers) which may discourage budding sourdough bakers. This is why I’m posting an easy sourdough bread recipe based on only three ingredients (flour, water and salt), perfect for those setting out on their slow fermentation journey. The easy sourdough bread recipe below will produce a loaf at 67% hydration which means that the amount of liquid (water in this instance) is 67% when calculated based on the amount of flour. For best results in terms of final bread aesthetics, I recommend using a Dutch oven or baking dome. Combine the sourdough ingredients in a medium bowl, cover and set aside at room temperature for 16 – 24 hours. On the second day, combine all main dough ingredients with 100g of the refreshed sourdough starter (the rest should be set aside for your next bake) in a large bowl. Knead for at least 10 minutes until you have formed an elastic and smooth dough. The dough will be slightly sticky, so work with your dough scraper to make things easier. Shape into a boule, cover with flour and place into lightly floured proving basket. Cover with a polythene bag to protect the moisture and prove at room temperature. For me, in my Edinburgh kitchen, this process takes a good 6 or 7 hours. However, if your kitchen is warmer, the process may be much shorter, perhaps only 2 hours or so. Take off the lid of your baking dome or Dutch oven for the last 5 minutes if using to firm up the crust. 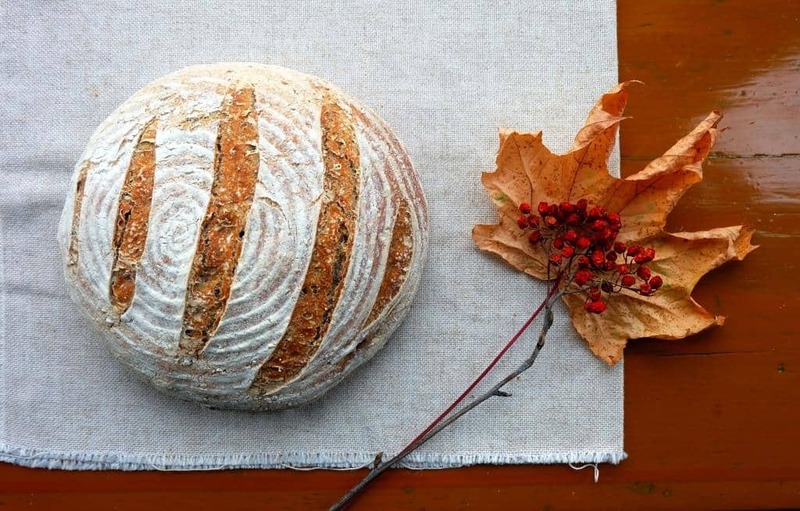 In celebration of #RealBreadWeek 2016, I would like to share my top 10 sourdough recipes. 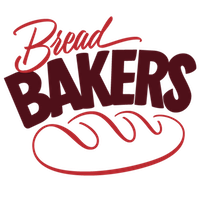 Real Bread Week is an annual event by the Real Bread Campaign celebrating real bread and its makers. While real bread can be leavened with commercial yeast or sourdough starter, I’d like to dedicate this real bread tribute to sourdough loaves specifically. Slow-fermented loaves of sourdough bread, using naturally-occurring lactobacilli and yeasts, are my favourite. 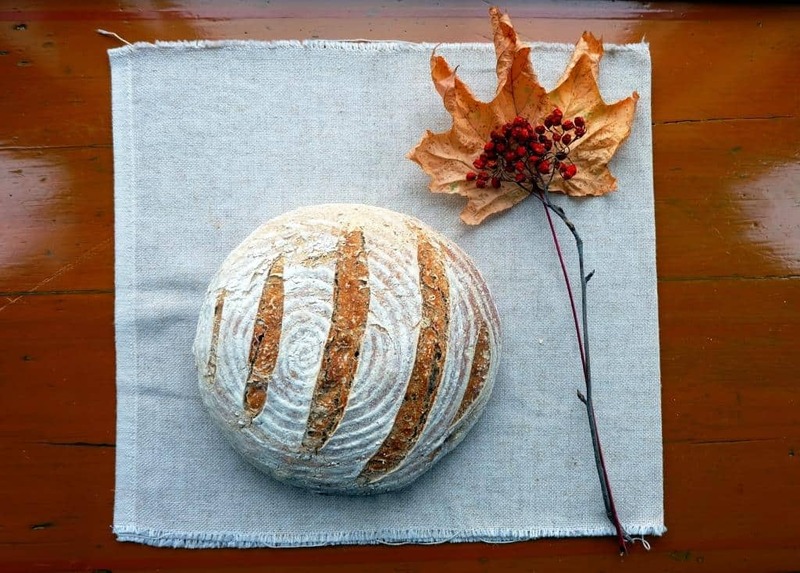 Made from a combination of white, wholemeal and rye flour, pain de campagne is a wonderful loaf of sourdough with a chewy crumb and rustic crust. A perfect choice for all your Middle Eastern salads, meat dishes and dips. Distinctively dark, intensely rich and distinctively bitter-sweet, this black treacle sourdough bread tastes great with smoked salmon, cream cheese and dill pickled cucumber. 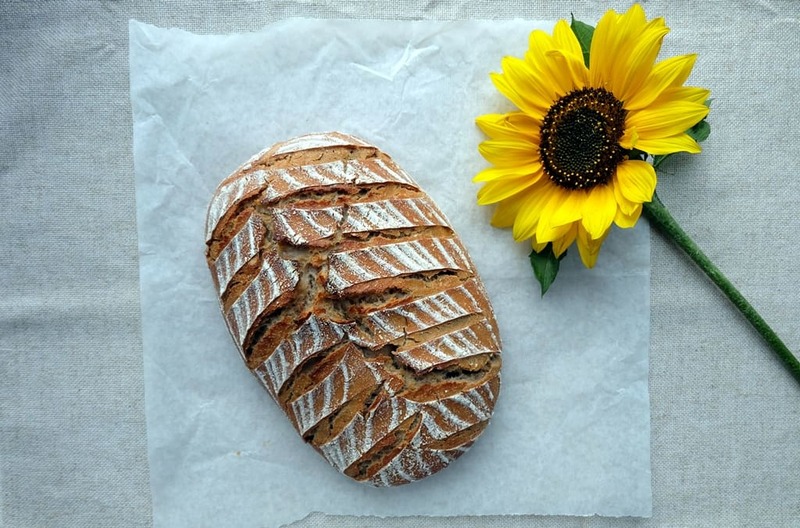 A delicious loaf of rye-based bread infused with the nutty flavours of dry-roasted sunflower seeds. 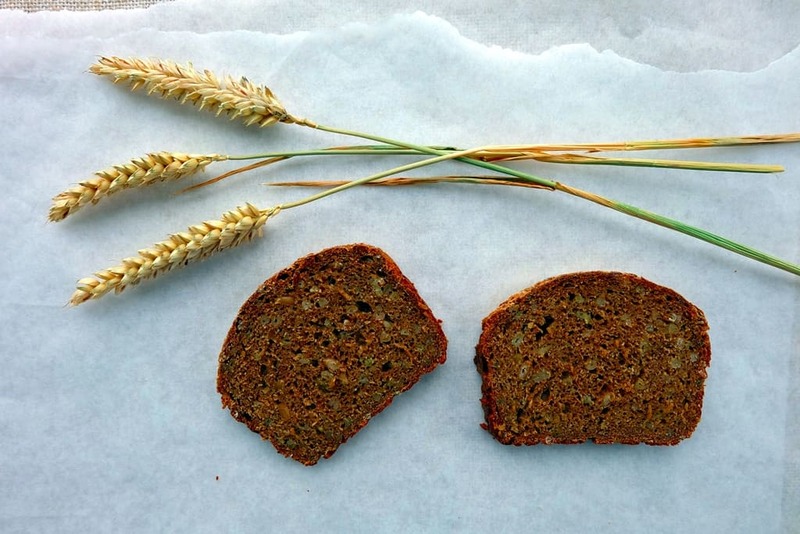 Authentic German pumpernickel, a very rich and heavy bread, made from whole rye berries and cracked rye and baked for 14 hours at a low heat. A seeded sourdough option, using sunflower seeds, flax seeds, oats and cracked rye. A nostalgic craving for all-rye breads is why I started baking bread. These sticky rye doughs will reward with superb moisture and flavour. 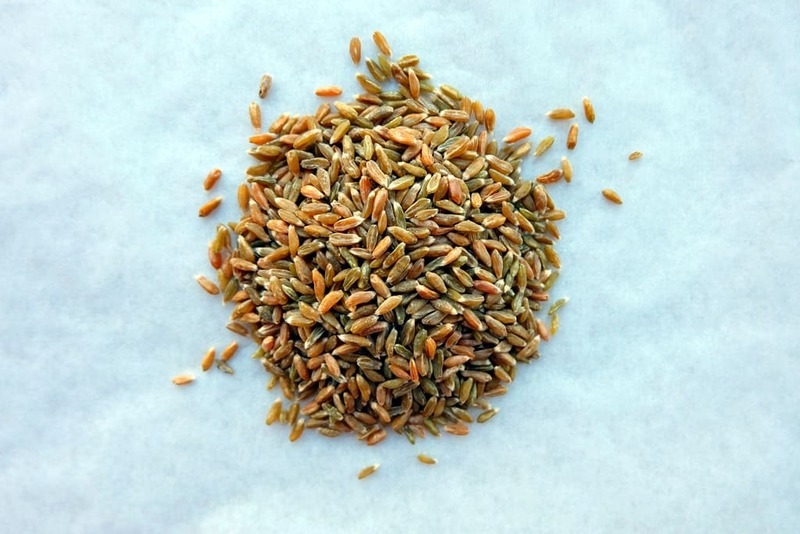 A wonderful recipe for those fond of spelt – light, highly nutritious with an appealing nutty flavour. Not sure what to do with all that rhubarb? Use stewed rhubarb as the liquid in your dough instead of water. 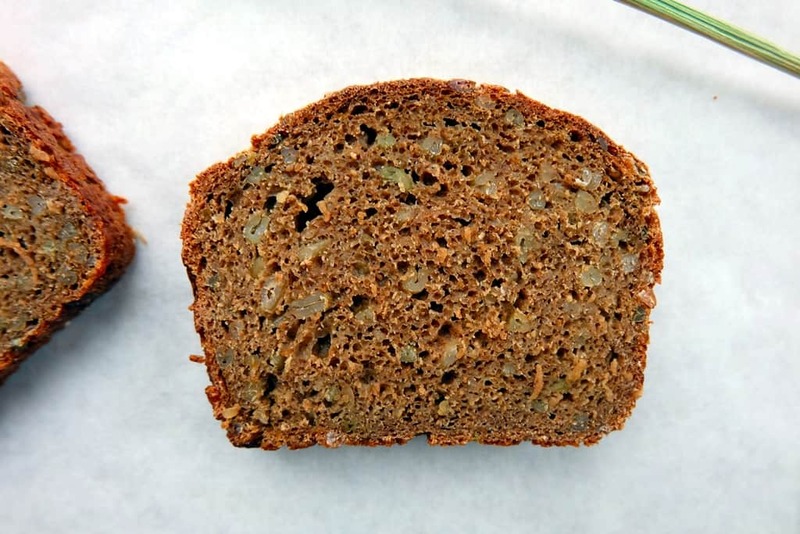 Add seaweed to your breads. 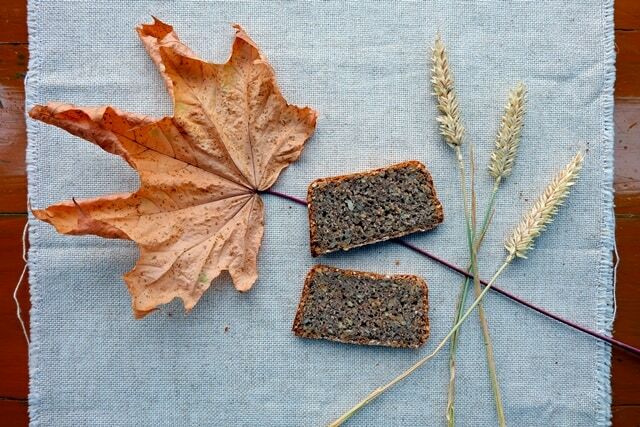 This seaweed sourdough recipe provides a great way of integrating seaweed into your daily diet. 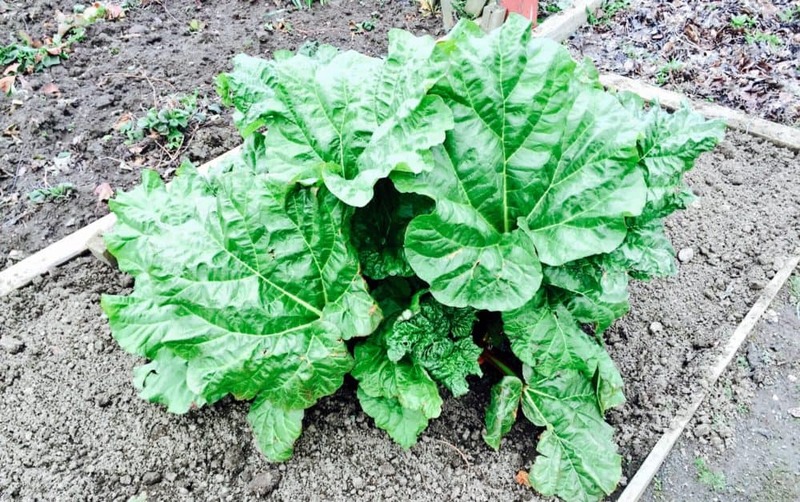 It’s rhubarb time and this year I’m lucky to have my own rhubarb plant in a newly acquired allotment. Over the last few weeks I’ve been blessed with plenty of rhubarb – I harvest every weekend and it keeps on coming 🙂 Therefore, all desserts and sweet bakes of late have revolved around these juicy rhubarb stalks. Stewed rhubarb with ice cream, rhubarb and almond cake, rhubarb posset, rhubarb and custard pies, chocolate rhubarb brownies. You name it, I’ve made it. Last weekend, I baked my first rhubarb sourdough bread, using stewed rhubarb as the liquid instead of water. Thank you for the inspiration, Virtuous Bread! Baking stewed rhubarb bread is a great way of incorporating rhubarb into your daily diet without eating a lot of sugar at the same time. 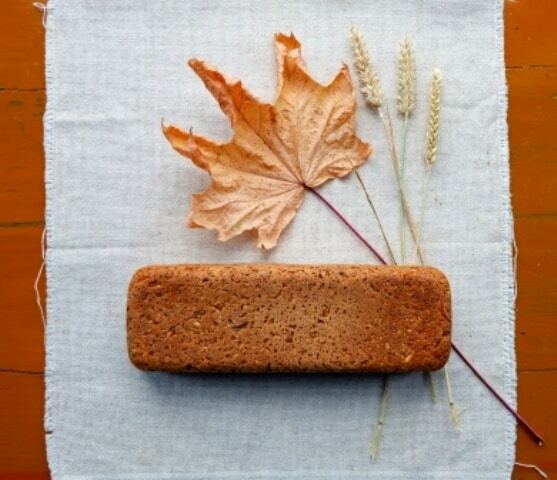 My rhubarb bread recipe is based on a combination of rye and wheat flours. I added a little bit of sugar to balance the bitter rhubarb flavours with the dark, rich sweetness of muscovado sugar. Cover and keep at room temperature for 16 – 24 hours. Stew the rhubarb in a small pot over a low flame. This should take approx. 10 minutes. Set aside to cool for a little bit. Once cooled, combine 250g sourdough (the remaining 10g goes back into the fridge) with the stewed rhubarb (approx. 290g) and the main dough ingredients. Place the dough back into the bowl, cover and rest for an hour or two. Punch back the dough, then place in a lightly oiled baking tin. Proof for several hours until almost doubled in size. Alternatively, cover it in a polythene bag and slow-proof in the fridge overnight. Bring back to room temperature if you do so, then bake at 220°C for 10 minutes, then at 200°C for another 45 minutes. 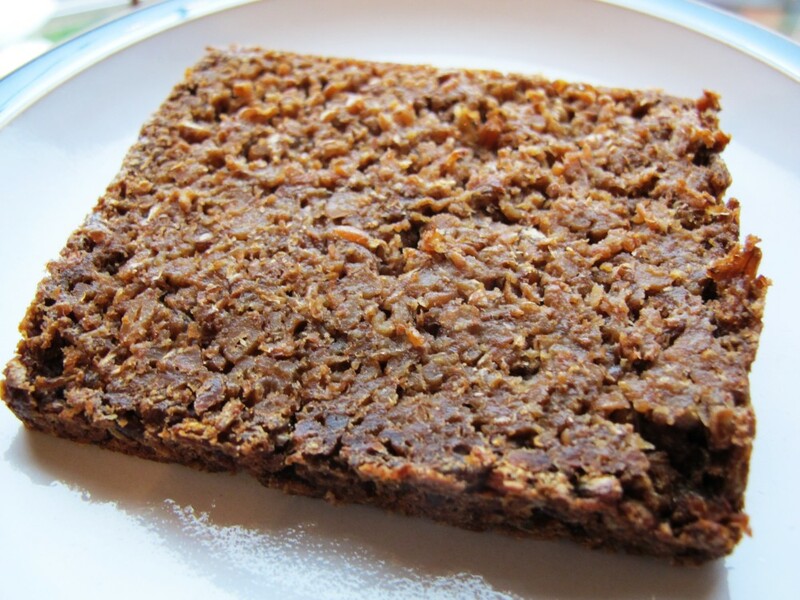 On my latest visit to Dublin, I tasted a delicious loaf of Irish treacle bread. Dark, heavy and deliciously earthy. However, it was of course a soda bread and when I returned home, I decided to make a sourdough version of the Irish black treacle bread. 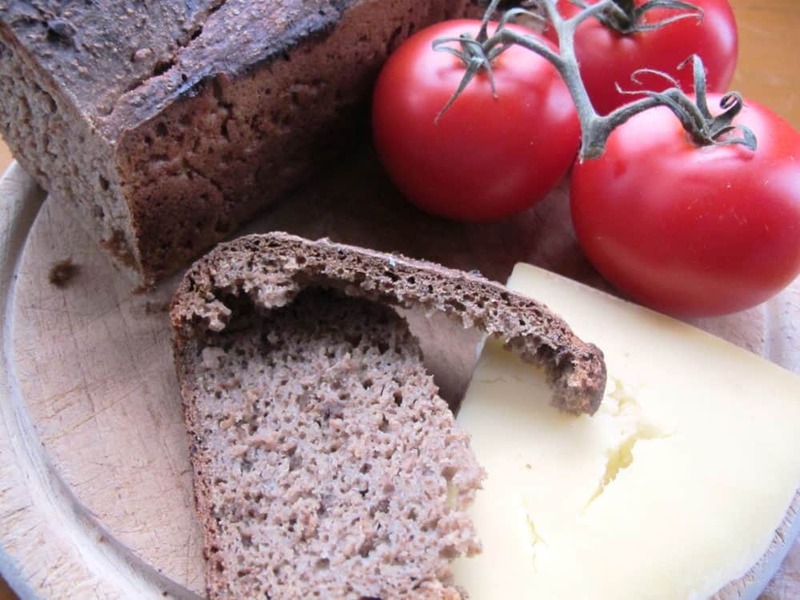 The black treacle bread recipe I developed uses cracked rye and rye flour to support the rich and aromatic flavours of the treacle. Before I jump into the recipe, I wanted to share a few facts about treacle. I was astounded when, at a conference in Powerscourt Hotel in Co. Wicklow, someone mentioned that Dublin was built around the largest natural treacle lake – a fake fact which was quickly dispelled by a quick Wikipedia check on the matter. Back to actual treacle… so why use treacle in baking? Prepare the sourdough and boiled rye grain soaker by combining the respective ingredients in two separate bowls and mixing thoroughly. I use a silicone spatula to do this which works well. Cover the bowls with their lids and keep at room temperature for about 16 to 24 hours. On day 2, after the 16 to 24 hour wait, dissolve the black treacle in the warm water. Use a small bowl or pan to do so. Combine 300g of the sourdough (the rest goes back into the fridge for your next bake) and all of the rye grain soaker with the treacle water and the remaining dough ingredients (except the sunflower oil). Work the dough for a few minutes. You won’t be able to knead it but mix it well. Cover and rest for an hour or two. Give the dough another quick mix, then place in an oil-brushed baking tin (I use a dough scraper to help with this process). The dough should only fill about half the tin, giving it room to proof and rise to the top. Wrap a polythene bag around the loaf tin to prevent the dough from drying out. Proof for about 5 hours until almost doubled in size. Please note, the time required will depend on the room temperature. This process may happen more quickly if you live in warmer climes! Preheat the oven in time, then bake for 20 minutes at 240°C on the second lowest shelf, then at 200°C for another 50 minutes. I visited Nice and the Côte d’Azur a long time ago when I was only sixteen. Unfortunately, I didn’t experience much of the classic cuisine provençale. I would love to return and taste all the wonderful dishes: bouillabaisse, ratatouille, l’anchoïade or pissaladière Niçoise, the region’s beloved anchovy and onion flatbread. Inspired by this month’s garlic-themed#BreadBakers event (hosted by Karen’s Kitchen Stories), I decided to bake a garlicky version of pissaladière Niçoise. It derives its name from the ground anchovy condiment know as pissala, a specialty of the coastal area around Nice. 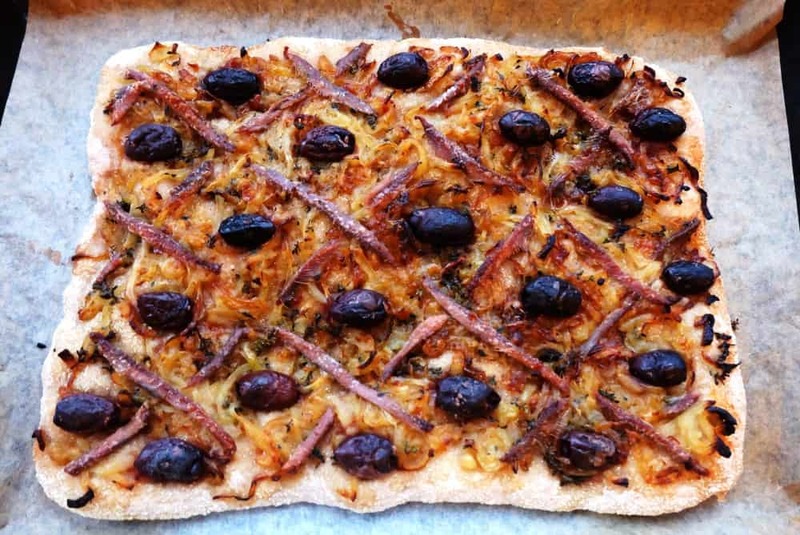 Crudely referred to as ‘French pizza with anchovies’ by some, this flatbread doesn’t come with the cheese topping typical for pizza. 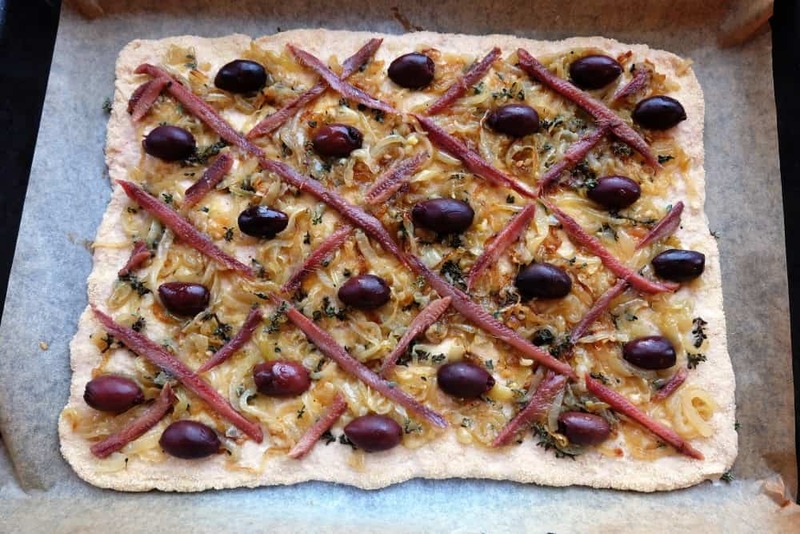 Instead, you’ll find provençale ingredients on pissaladière breads: olive oil, Niçoise olives, fresh garlic and aromatic thyme and oregano leaves. Most of the ingredients on my pissaladière Niçoise were bought in the shop, but the thyme and oregano came my very own allotment! Combine all ingredients in a medium bowl until well mixed. Cover and leave to rest at room temperature for 16 to 24 hours. Combine 180g of the sourdough with the main dough ingredients (except olive oil). Knead for 10 minutes and add the olive oil towards the end. Place the dough back into the bowl, cover and leave to rest for about 2 – 4 hours until doubled in size. Prepare the topping by sautéing the onions and garlic in the olive oil over a low heat for about 25 to 30 minutes until very soft but only lightly browned. Take off the flame and add the thyme, oregano, salt and pepper. Leave to cool. Divide the dough into two equal pieces. Shape into two dough balls on a lightly floured surface. Cover with a kitchen towel and leave to relax for 20 minutes. Prepare a sheet of baking paper and sprinkle with semolina. Stretch the dough by hand, you will need to do this slowly and let it relax every now and then. Try to shape it into a rectangular shape about 6mm thick. Place the dough onto the baking sheet. Spread the onion-garlic mixture evenly across the dough, leaving 1 cm free around the edges. 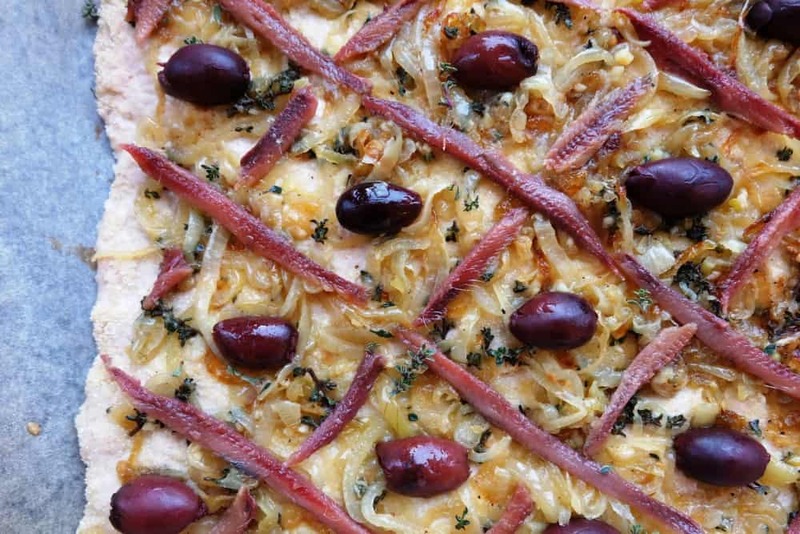 Place the anchovies in a lattice pattern on top of the onions. Place one olive in each of the sections formed. Leave the unbaked pissaladières to proof for another 30 minutes. Preheat the oven (220°C). Bake on a preheated baking tray for about 20 minutes.